The children at MSC opened my eyes to a loving and joyful reality that I had never fully realized from the same illnesses and disabilities here in America. 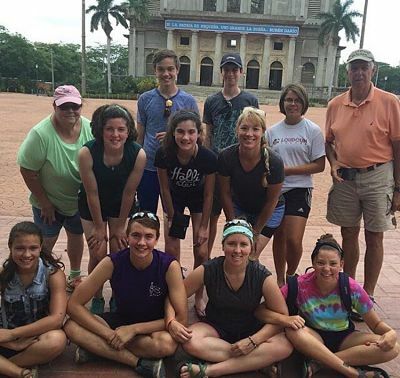 "I was blessed to join my church on a mission trip to the MSC communities in Nicaragua. It was a blessed and personal experience. My mom is from Nicaragua, so I was able to see my Abuelo (grandfather), my cousin, and my Tia (aunt) the week of my mission. We also got an amazing chance to explore Nicaragua and it was incredible and beautiful to see where half of my roots lie. The children at MSC opened my eyes to a loving and joyful reality that I had never fully realized in children who suffer from the same illnesses or disabilities here in America. Thank you to MSC for taking care of angels and for letting me and my mission group spend a week with them. The leaders and workers at MSC demonstrated humble, hardworking, and loving works of God that left me in awe of their strength. Thank you for this opportunity!"